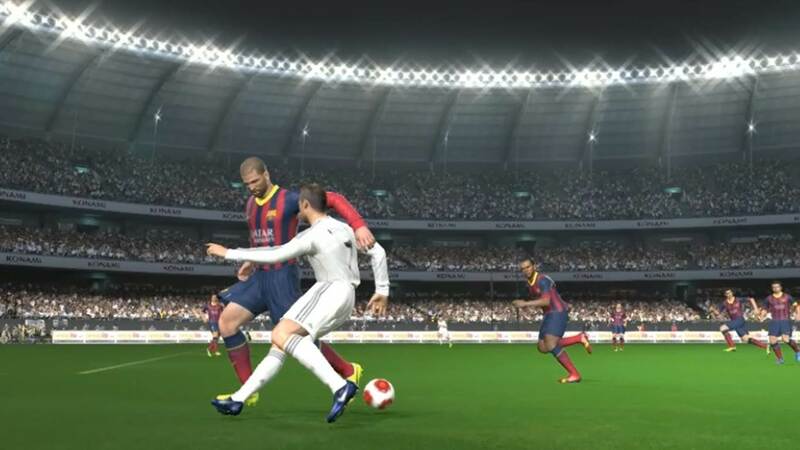 In this tutorial, we are going to talk about the cross over turn, also known as Ronaldo Chop. 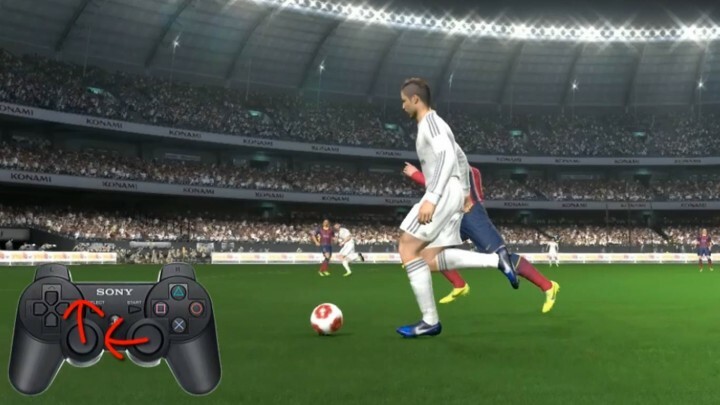 This is a dribbling feint that is activated with the aid of both analog sticks. When you are attacking from left to right, push Right Analog Stick right, and push left analog stick either up, or down, depending on the direction you wish to go. When executed successfully, your player will perform the move which makes a sharp 90 degrees directional change to evade your defender. This feint is very useful on 2 occasions. When your winger is at the flank and wishes to cut into the box, performing the cross over turn allows you to dribble past your opponent and run towards goal in one swift motion. To increase the possibility of success, ensure the defender is slightly in front of you, which they will be since they will be trying to rob you of the ball, or block any potential cross. Having the defender in front of you gives you enough space to cut into the box behind them. Imagine a situation when your right footed player is running towards the left post with defenders around him. The position which he is in makes it very hard for him to take a good shot on goal with his stronger foot. If you attempt to shoot, he will take the shot with his weaker left foot, which is not as powerful nor accurate as his right foot. Executing a cross over turn at this point not only evades your marker, it will also put your player in a better position to shoot with his stronger foot and aim for the far post. Cross over turn is thus a good strategy and dribbling feint to use when you are in the penalty box. With a bit of match practice, you will be able to easily dribble past your opponents to cut into the box, or take shots on goal. Hope this helps!